So it appears one of the most obvious symptoms of one of the community’s biggest problems has been identified. No shortage of words has been spent in recent weeks lamenting the state of the local airport and the flights coming (or not coming) in. 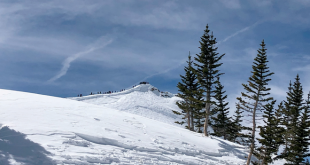 Fewer people are flying into the Gunnison-Crested Butte Airport and thus we are seeing a deficit of skiers on the hill, tourists eating in our restaurants, visitors shopping in our stores. The entire economy is being impacted. But let us not get confused and remember that the airport decline is a symptom of an illness and not the sickness itself. As my more conservative friends like to suggest, capitalism should be unbridled and all will be well with the world. But the airline situation is certainly a socialist endeavor. The private ski area and public taxes essentially pay the airlines to come here. Some of those same conservative friends I mentioned earlier want more public tax involvement. Bad idea. If you throw enough money at any situation, it might stop the bleeding but that’s about all. It would be a Band-Aid. It’s not the number of flights that are the ultimate issue; it’s the thing the flights are bringing the people in to experience. If the rule of capitalism were to be the equation that changes the poor airline situation, and it very well could be, then it all comes down to basic economics. If you fill the seats on the planes that currently come in here with people who desire to experience Crested Butte and Gunnison, then chances are the airlines will add another plane. Fill those seats and the airlines will add still another plane and the economy will grow. In other words, if you can draw enough people to come here—and more important, come back here—then there will be no airline problem. Make the product attractive enough to draw customers, and capitalism will take care of the rest. So, as I’ve written before, the problem is not the airport or RTA or number of flights. It is product. It’s a demand issue. And that stretches beyond just the ski area (though that’s got to be considered the primary driver) to everyone and everything here. Things have changed in the ski industry in the last 15 years and I’m not sure we have changed with them. I’ve written extensively with ideas that, in my opinion, might help improve the product. That includes more innovative (and value-appropriate) pricing, more bang at the base area, a clearer identity based on our mountain and not what some wish our mountain was. For details see the politically correct October 19 editorial titled “Hire a Midget!,” where suggestions range from a ghetto gas card give-away to turning the mini-golf course into an interesting experience-to-remember outdoor entertainment venue. Give the people unique memories and a good story to take home and they will come back. On the positive side, CBMR is reaching out and trying to lead the way in the industry with on-mountain uphill skiing. Uphill and backcountry skiing is a growing element of the sport. I think there is some thought to using Snodgrass as a “sidecountry” uphill-downhill experience. 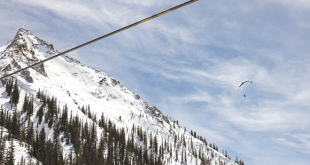 CBMR has also done some partnering with Telluride and has improved its social media presence. Steps forward but we’re still waiting on the big bang game changer. Another positive example of improving the valley product might be the proposed “Gravity Ranch” going in near Crested Butte South. That endeavor could hopefully draw adventure-leaning kids and families who want to learn the tricks of modern skiing. That usually comes with air and flair. It can make a difference in people and reputation. A large gathering at the RTA meeting last week rehashed the outline of a poor airline situation. It spilled over into discussion of a general and fractured malaise that impacts the overall community and economy. Local public and private leaders will now gather to brainstorm cooperative solutions. That’s a good step forward. It’s a hard nut to crack, but it’s about time that energy was focused less on how things are the way they are and more on what steps can be taken to make things better. I hear the story of a guy who owns a home in Mt. Crested Butte. His family loves the steeps. He flew here from New York not to recreate but to pick up his family’s ski gear. Because the steeps aren’t open for the second year in a row, he is going somewhere else. Other ski areas with similar snow bases like Aspen have their steeps open. In that vein, I hear from a local innkeeper that February is the month that usually attracts the expert skiers from across Colorado and the country. They know when the good snow usually is set up and come before the spring break crowds. Last year was bad for the inn with the general lack of snow. This year looks to be similar with only slightly better snow conditions and none of the terrain for expert skiers open. The resort cites safety, unique topography, elevation, aspect and ground materials as factors prohibiting Crested Butte’s steeps from opening. It took just a few explosive charges to let the Headwall rip wall-to-wall. It’s part Mother Nature, part luck, part snow safety and management decisions. The bottom line is that we don’t have a big part of the product of this mountain open—and other competing resorts do. I struggle with the Mt. Crested Butte Town Council’s struggle to help fund local boy turned big-time skier Aaron Blunck with some marketing bucks. The town has hundreds of thousands of dollars set aside to go toward “marketing.” It’s been requested of the council to help fund some of the international competitions Blunck is participating in. It isn’t cheap and he is making a name in the big time. Did I mention Aaron was invited to compete in the X Games this coming weekend? For skiers under 30, it doesn’t get any bigger than that. For that demographic, the X Games are bigger than the USA Pro Bike Challenge and even bigger than the Olympics. But the Mt. Crested Butte council can’t seem to get its collective head around this marketing opportunity. Skiing has changed. Blunck is roaring in the heart of the change. Most of that council seems to want to help but they appear meek and mired in an old paradigm of defining marketing. (Editor’s note: Insert legal marijuana joke reference here.) It’s not like the council is being asked to fund some lift op in a regional snow-shovel race. The marketing exposure for the area through Blunck’s participation is huge and this old-school seven needs a nudge to assist a native son putting Crested Butte into the midst of modern skiing at its biggest international venues. It ain’t 1950 any more, boys. 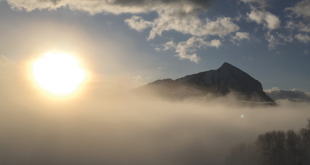 When it comes to marketing the area, competitions like the X Games (and Copper and Park City) are where you want to hear the name Crested Butte. That will register with young skiers and their families. That is effective marketing. It is frustrating when town leaders are offered a way to truly promote the product we have and they don’t jump at figuring out the opportunity. Look, I can’t think of any silver bullet that will turn the airport and airline situation around. It’s foolish to just throw more money at a mediocre reality. Ultimately, doesn’t it come down to product? Making the experience here one that people will come back for time and again is the balm for the symptoms of the overall problem. Not recognizing the value of promoting the resort through a world stage is not good for product. Not having the steeps open is not good product. Doing the same things over and over and simply complaining about it takes the product backward. It is time to stop complaining about the symptoms of the problem and instead look for more tangible, out-of-the-box ways to actually address the illness.